pressure-cookers offer quick and healthy cooking of meats, poultry and vegetables for your family, friends and guests. Homemade foods beat fast food meals in terms of nutrition, quality and taste. Many families run short of time to cook a healthful dinner due to work commitments, extracurricular activities and school obligations. Using a pressure-cooker to make dinner is fast and easy. pressure-cookers come in a wide variety of styles and models, some are stove top cookers and some are electrically operated. pressure-cookers work by sealing in heat and steam to speed up the cooking process greatly. pressure-cookers have come a long way since their introduction back in 1919. pressure-cookers didn’t become popular or mainstream until 1939. The early models many grandmothers may remember weren’t very safe or stable. Many a kitchen accident left the household cook injured because the pressure inside the cooker would build and the pot would explode leaving those nearby with steam burns and impact injuries. Thankfully, designers have come a very long way turning the early disasters into a thing of the past. Today’s pressure-cookers come as stove top models with heavy duty gaskets and lock lids as well as electrical pressure-cooker with the same safety in mind. pressure-cookers are thought of by most as simply a way to quickly cook meats and poultry. pressure-cookers can do much more that that, making them an invaluable kitchen appliance. Stove top pressure-cookers as the name indicates are used on top of the stove. After placing your food in the pot along with water or broth and of extra seasoning, lock the lid in place, set the required pressure, turn on the heat and you are done until your food is cooked. Typically food cooked in a pressure cooking requires an extra dose of seasoning because steam cooking robs the food of some of it’s natural flavor, but that is easily replaced with herbs and spices. As the temperature inside the pot rises, it speeds the cooking process. Both thawed and frozen foods can be cooked inside a pressure-cooker making dinner much more convenient. 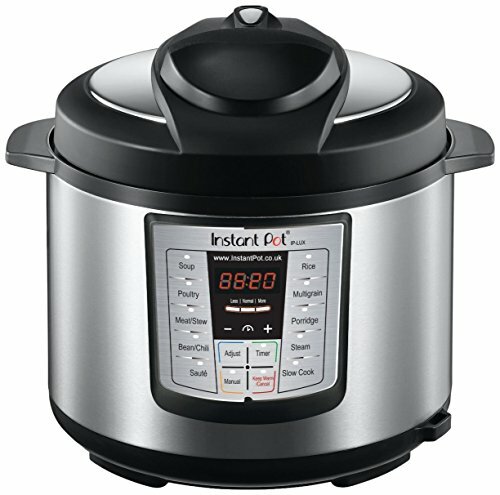 Electric pressure cookers operate using the same principles as a stove top pressure cooker. 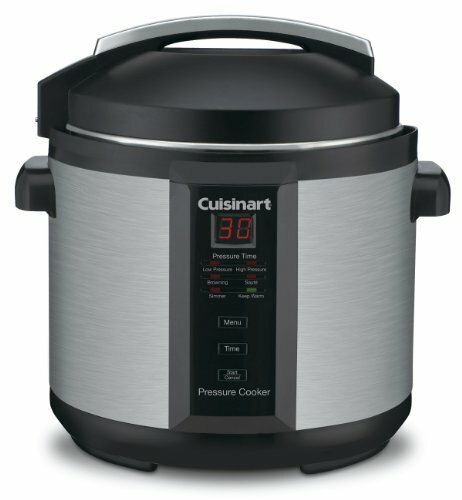 Electric pressure cookers add convenience through pre programmable that allow you to choose from a variety of setting ranging from warming, which is great for quickly reheating leftovers, to browning settings that allow you to have a dinner that doesn’t look like it’s been boiled and devoid of color. Pressure cookers hold the nutritional value of the food by not allowing it to cook off. Electric pressure cookers that much of the guesswork out of pressure cooking because they have a digital display that is easy to read and operate. Some electric pressure cookers also featured a delayed start option, which allows you to program your pressure cooker to begin your meal at a preset time. Toss your meat or poultry into the pot with broth and vegetables, set the time you want it to begin cooking and you will come home to a healthful, perfectly cooked meal. What to make dinner in an even bigger hurry, consider a microwave pressure cooker. Adding the speed of microwave heating with the speed of pressure cookers and you will have dinner faster than ever. The biggest drawback to a microwave pressure cookers is the size. Many are on the smaller side so they can fit into your microwave oven. Typically, when cooks think of pressure cooking, they think of pot roast for dinner. Not any more, many cooks have gotten very creative with their recipes and found delicious alternatives to a simple pot roast or chicken. 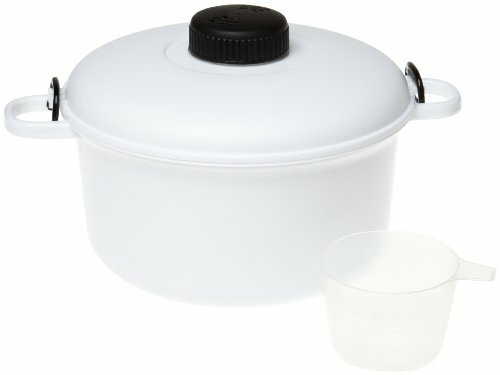 Baking in a pressure cooker? – Absolutely! You can bake anything from cheesecake to a pumpkin pie quickly and easily or if you are more of rice pudding or custard based dessert type – you can make those to. Just as the heat and steam cooks meats, poultry and vegetables, it will cook your favorite desserts. If you are tired of your cheesecakes cracking during traditional oven baking, use a pressure cooker the next time for a perfect cheesecake. 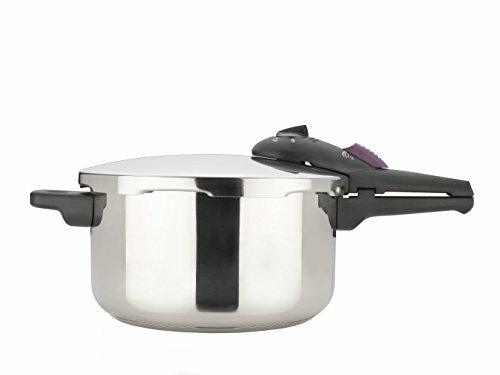 Typically, pressure cooker baking consists of placing the trivet that came with your cooker in the bottom, add water and your can pan which has been wrapped around the bottom in aluminum foil inside the pressure cooker. When wrapping the bottom of the cake pan or spring form pan, bring the aluminum foil up on both sides and twist it together in the middle above the cake to create a convenient handle to lift the cake out. Usually in 30 minutes at high pressure a cheesecake will be done. If you have a baby in the house who is ready for some solid foods or kids who love fresh applesauce or maybe you love applesauce – make your own quickly and easily. Not only is the Pressure-Cooker a time saver, but it’s also a money saver. Compare the cost of fresh apples to the cost of a jar of applesauce and you will immediately see the savings. Any type of fruit can be turned into a delicious cooked treat and keep its healthy qualities. What Else Can I Make in a Pressure-Cooker? Long cooking rice can be done in less than half the time it takes using the traditional stove top method. Long cooking oatmeal isn’t as long cooking when you make it in a Pressure-Cooker. Baby food – know exactly what you feed your baby by making your own food. Pop fruits, vegetables, chicken or beef into your Pressure-Cooker and cook it until it is very tender and falls apart. Puree them in a blender and spoon the foods into single serve containers in the freezer. Bread – using the same principle as you would when cooking cakes, you can make delicious fresh bread. Soups – probably one of the best soups you will ever taste will be a Pressure-Cooker prepared soup. Use your Pressure-Cooker to can foods safely. Take your Pressure-Cooker camping with you so you always have healthful delicious meals prepared in no time. Pressure-Cooker help you to save money on your grocery bills because you can buy the most inexpensive cuts of meat that are usually tough and chewy and turn them into a savory dinner. The mechanism of pressure cooker involves raising of Boiling point of content within it. Due to which the food inside it gets larger Joules of heat energy and cooking is possible at less amount of time. It would be great if you had included those points as well. Anyway good effort ! Thumbs UP ! !